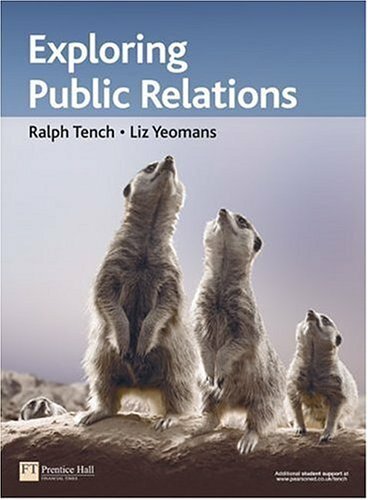 This definitive academic Public Relations text introduces PR and its role within the organisation. A comprehensive text, Exploring Public Relations not only covers traditional academic PR theory, but also explores contemporary ideas. Divided into four key areas, the book covers:1) The Context of PR2) The Concepts of PR3) PR Specialisms4) PR in the public and private sectorThis book is written for both undergraduate and postgraduate students working towards a Public Relations degree. It is also appropriate for those studying PR as part of a Marketing, Media or Communications degree. Who are the public relations practitioners? Business case for corporate social responsibility: why be socially responsible? Ethical persuasion: is it possible? Defining issue: advertising or public relations? Employee perspective: 'just a job'? What is consumer public relations?